Michael ordered 5 books from Amazon as soon as he heard it was out. They delayed his delivery until 1st week in December. I would love to see my Dad honored. He is very humble about things like that so we might have to talk him into it. I agree and think there is so much more to his war times. He has talked about it very little over the years. He is a little better about it now, but only talks about some of the better times if there were any. I just want you to know that I think the book was awesome. As many stories we have heard over the years, there were plenty in this book that we had not heard. As our family is constantly discussing this book, we all agree that it gives us some great insite to our Dad's upbringing and his family. I was crying as I read different parts of the book and within minutes laughing so hard I was crying. Donna, I doubt that most will get it in quite the same way as family but hope they do. I think the remarkable thing about your Dad and at least, Raz and Corb, somewhat Wallace but mainly your Aunt Margaret is being poor and not really knowing it. And, knowing how they were all surrounded by Uncles in particular who were huge bootleggers and drank and ran around and yet your Grandpa never got caught up in it. 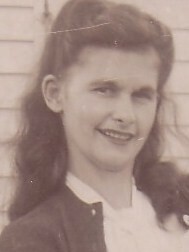 And, as you, better than most know, your grandma had a subtle strength about her that was often underestimated. Thanks for the comments. We want to put together a book party for your Dad. He is a central part of the book and a pretty remarkable brother. In doing research, in what little we could find out, I think he was probably much more than we really know: I've always thought that maybe he was nominated for the Medal of Honor because it was incredibly rare for a lower ranking enlisted man to be given the Silver Star unless it was an interim award. And, of course, paper work is lost, disappears, etc. But, a book party would be a good way to honor him and your Mom too, of course. Just read the book last night as a matter of fact and LOVED it. I don’t have the time to read like I did once (wonder why! Ha!) but I stayed up last night after Sanibel went to bed and read it….all of it. I just loved reading about your Dad. I feel like I know him now. Had to laugh over Aunt Gertie’s biscuits (we called them cat head biscuits, because of their size), because I, too, ate many many many of those. Did I ever tell you that Aunt Gertie made a SPECIAL Sunday dinner every Sunday just for me? I didn’t care for the fried chicken as much as I liked HER baked BBQ chicken and once she knew that she began making THAT for me. I loved those meals – good times. And, of course, I’ve told people over the years when they don’t know a thing about lard that I saw it in action. And, I can still to this day picture Granny making those biscuits. I was probably eagerly awaiting them to be baked and I would stand next to her in the kitchen and watch her hands form those biscuits and pop them onto the baking sheet. She would just fly through the process like she’d done it a million times and no doubt she HAD. Those were the tastiest biscuits. It is what it is. I couldn’t believe it when I read that, because that’s a staple phrase at the bank. We all use it. Can’t change the situation and IT IS WHAT IT IS. Maybe Granddaddy coined it! All of the stories were enjoyed immensely. I’ve already told 2 friends about it and they’ll be reading the book next. I cried over Margaret. (Feel like I know her now, too.) I cried over Rob. I didn’t know about Corbett’s love story – and how sad. (What happened to Bella? Does anyone know??) And, honestly, it made me cry over what I lost – the family I had, yet didn’t have. I’ve missed out and would have really loved being a full part of the Autry family. White Line sounds like another sad place. I’d never heard of that. And, poor Betsy. What a life. Sounds like she overcame it. Zack must’ve been a character!! I think I’ve heard Daddy talk about Royston and the food he’d eat. And, I got a big laugh over your Mom saving the “scraps”. LOVE THAT. So happy that you read the book, identified with all these people in our family's lives. 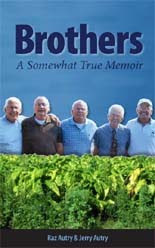 And, I must say, as I said in the front material, really the story is about four brothers and a sister. By the time I arrived, most were out of there to live their lives. And, so many of the things you've recounted are the things I also remember. I can still see that lard stand and Mom dipping into it. They were somewhat tired by the time I got up some size and so the hustle and bustle of life was not the same. And, I must say, that I've enjoyed getting to know some of the details too. Over time you finish a book or at least I do, I always want to say, "the writing of the book is almost better than the book." For instance, I kept pretty good notes. Things that Corb., who was a great source and seemed to have a better memory than any of us--He told me things that way down the road, he doesn't remember telling me. Corb's life is the greatest mystery of all: he was so incredibly secretive and what we know now is that at one time, he was very wealthy, making so much money selling sugar to bootleggers that he literally did not know what to do with it all. The IRS moved in and instead of hiring a lawyer, etc., he just wrote a fat check and all this did was give them a license to come investigate. Eventually, they broke him down to nothing. Now, this is a story we didn't include. Well, we wouldn't have as the book was just growing up years. Thanks for the suggestion but a youngster needs to tackle that project. Laura is a super writer, I nominate her.